The trial of a Bar Harbor man charged with murder in the death of a female friend from high school is scheduled for May. The trial is expected to begin May 20 in Ellsworth, according to the defendant’s attorney and a spokesman for the Maine Attorney General’s office, which will prosecute the case. Jalique Keene, 21, is accused of killing Mikaela Conley, 19, in Bar Harbor last spring. Police say Keene raped and strangled Conley on the grounds of a local elementary school in the early-morning hours of June 1 and then hid her body in nearby woods. 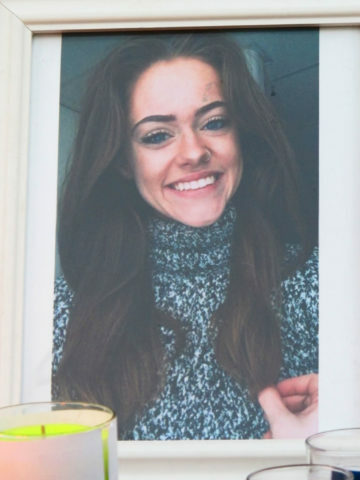 Conley’s body was found the next day after her family reported her missing and, with the help of others, organized a search for her in the neighborhood. Keene and Conley had attended Mount Desert Island High School together and, though they were two years apart, were friends. According to Maine State Police, Conley drove to Boston Logan International Airport on May 31 to pick up Keene, who was returning from playing for an amateur football team in Serbia, and then drove him back to Bar Harbor. In September, Keene pleaded not guilty to the charge of killing Conley. One of Keene’s defense attorneys, Jeff Toothaker of Ellsworth, said Thursday that he has concerns about finding an impartial jury for a trial in Hancock County. Selecting jurors for a case that has received a lot of media attention can be difficult, Toothaker said, because people who are not familiar with the case tend to be the most impartial. Media reports can contain information that may not be introduced as testimony in a case, he said, so it is important to select jurors who have been exposed to little or no media coverage of the alleged crime. “If we can’t get [a jury] picked here, then we go to Bangor,” Toothaker said. If the venue for the trial is moved to Bangor, he added, the trial most likely would be held in the summer months. He said he thinks the trial would last about a week. Marc Malon, spokesman for the attorney general’s office, confirmed Thursday that the trial is scheduled to begin May 20, but he declined further comment. Also representing Keene in the case is defense attorney Dawn Corbett of Ellsworth.